My friend and fellow writer, Lia Davis Munro, has a term for strong and determined female characters in literature. She calls them "gutsy heroines." Ruby Sutton, from Goodnight From London by Jennifer Robson, is absolutely one of these gutsy heroines. Ruby is a young American journalist. As WWII breaks out in Europe, Ruby is sent to London, England to work for a local magazine covering the war. Even during wartime, Ruby is excited about this new opportunity to start fresh across the ocean and leave the secrets of her past behind. In London she forms bonds with many new friends at her work, especially as they live through the nightly horrors of the Blitz. Ruby depends on the kindness of strangers to help her keep going both as she takes on new projects in her magazine and as she falls for a captain in the military who has his own secrets to hide. 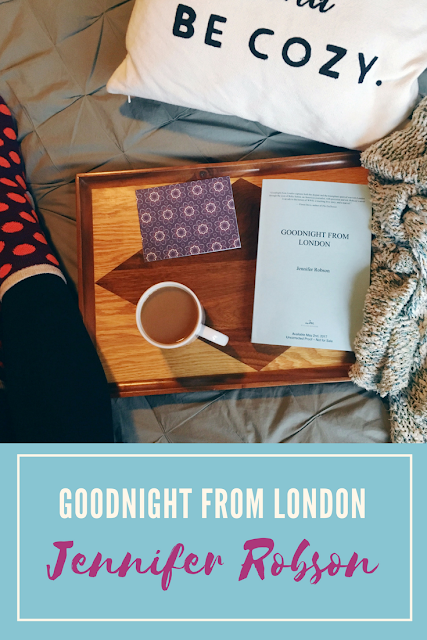 Redbook described Goodnight From London as, "An enchanting historical fiction reading experience that will break your heart only to put it back together again, Goodnight From London is the ultimate trifecta of suspense, romance, and unputdownable prose." I couldn't agree more. 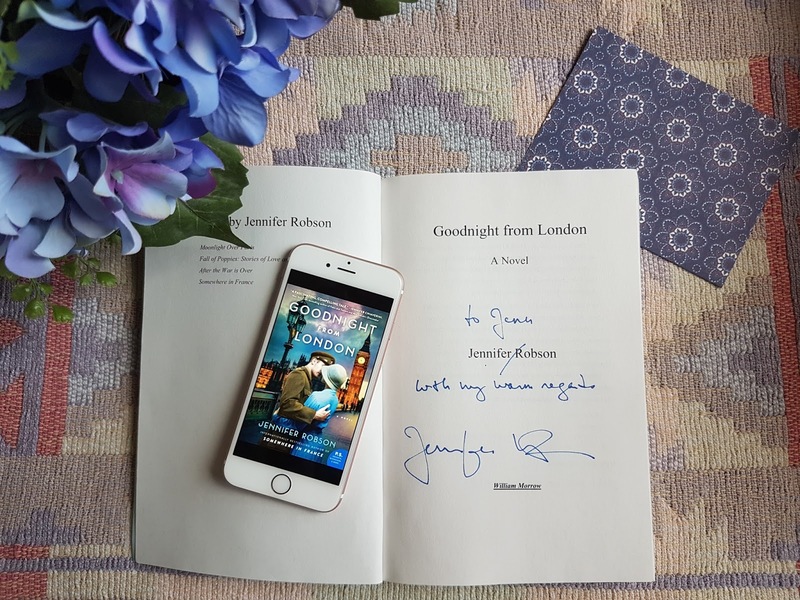 I have been a Jennifer Robson fan for awhile, and Goodnight From London was just as wonderful as I had hoped it would be. This book is a tribute to the entire generation of World War II. Whether they were on the battlefield or at home waiting for loved ones to return, men and women all over London fought to endure during a time when they were faced with darkness each and every day. Ruby's story is a story of hope, a story of friendship, and a story of love. Finally, I always love learning about how authors are inspired for the different stories that they write. What is interesting to keep in mind while reading Goodnight From London is that parts of the story are inspired by the wartime experiences of Jennifer Robson's own grandmother. Goodnight From London comes out April 11th in Canada and May 2nd everywhere else. It is available for preorder here. Be sure to check out more from Jennifer Robson on Facebook and her website. And if you are in Toronto on May 9th, Jennifer Robson has a free speaking event at one of the local Toronto Public Libraries. Here are the details. If this book sounds like something you'd love, also check out my review of Jennifer Robson's Moonlight Over Paris.